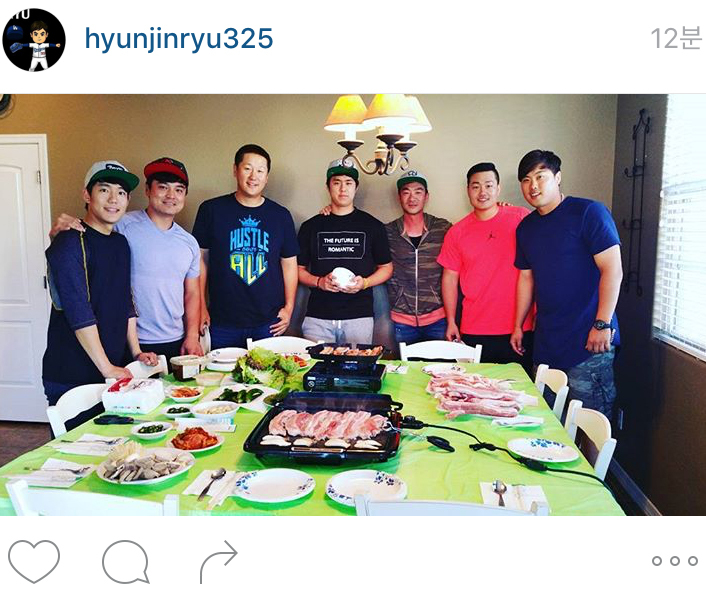 Ryu Hyun-jin, right, posted this photo on his Instagram account. 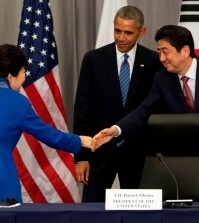 Standing next to him is Choi Ji-man, and Kwon Kwang-min, from middle to left, Lee Dae-ho and Choo Shin-soo also posed for the camera. Korean players participating in training camps in Arizona – Texas Rangers outfielder Choo Shin-soo and his close friend Lee Dae-ho, who is trying to make the Seattle Mariners’ roster, Chicago Cubs prospect Kwon Kwang-min and switch-hitter Choi Ji-man, who is trying to make the Los Angeles squad — were all there to enjoy the party.